Recreate the classic deli breakfast sandwich on a roll with this easy folded scrambled eggs technique. Award-winning blogger Joy Wilson, better known as Joy the Baker, has a new collection of recipes out just itching to hit your brunch table. Liven up the best meal of the week with her innovative and classic approaches to hearty morning fare. 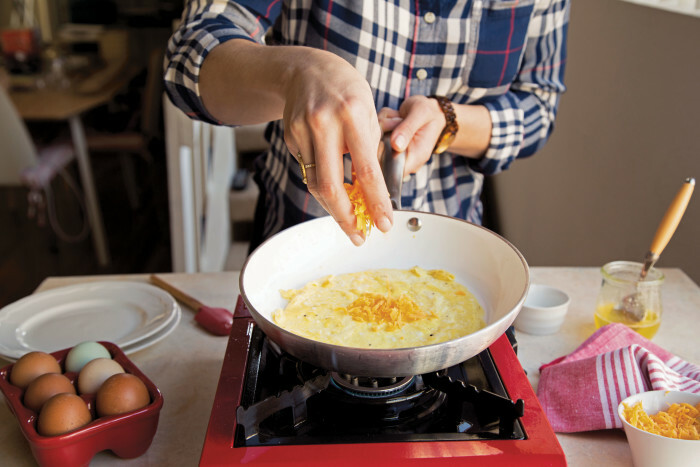 These folded scrambled eggs need nothing more than a couple of slices of bacon or griddled sausage patty and a warm bun to feel right at home. My guilty pleasure foods usually cost around three dollars and are served from drive-through windows or over a deli counter in a grease-stained paper bag. Give me a McDonald’s Sausage Egg and Cheese biscuit or an NYC-style egg and cheese bagel, and I’ll likely kiss you on the mouth, whether you want me to or not. Lucky for both of us, this egg recipe is perfect for homemade versions of these indulgences. I adapted the easy and attainable method created by cooking genius Deb Perelman of Smitten Kitchen. In a small bowl, whisk together the egg, milk, soy sauce, and pepper. 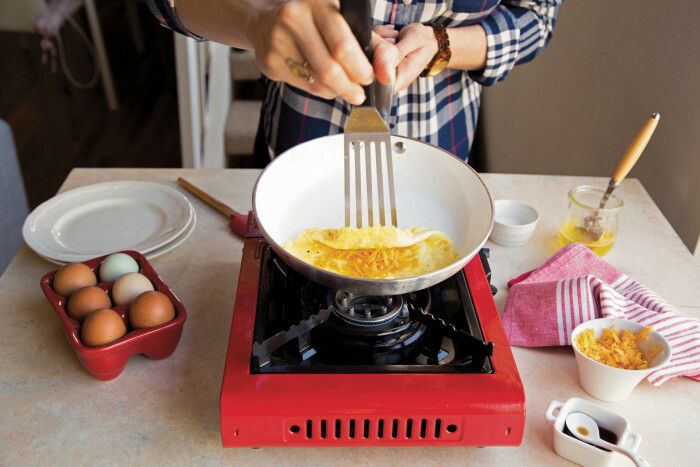 In a 6-inch nonstick skillet set over medium heat, melt the clarified butter. 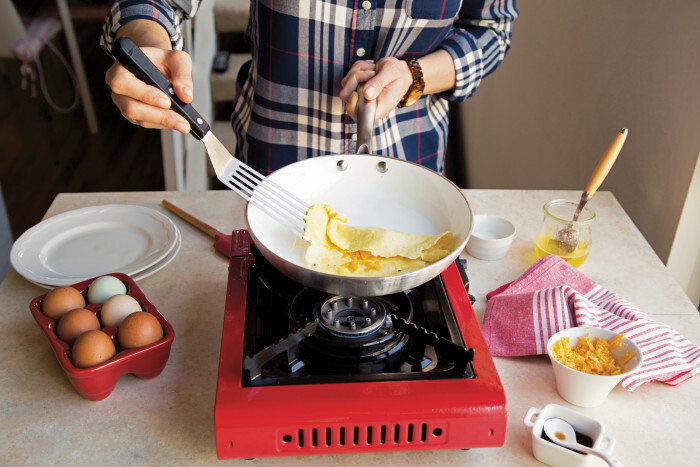 Pour the egg into the hot pan, tilting the pan to create a very thin, almost crepe-like layer. 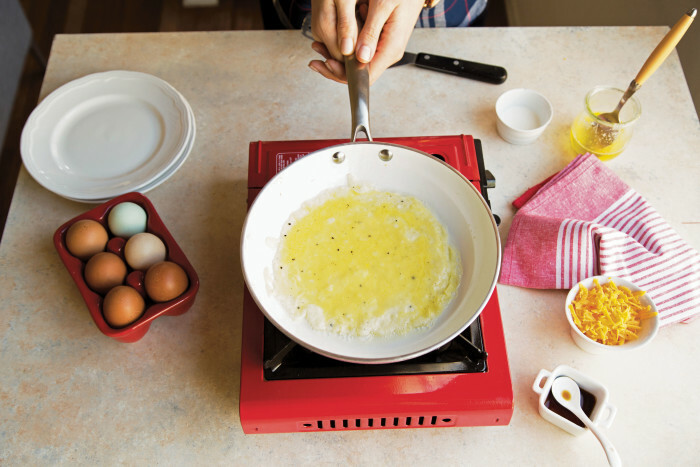 Reduce the heat to low and sprinkle the center 4-inch circle of egg with the cheese. 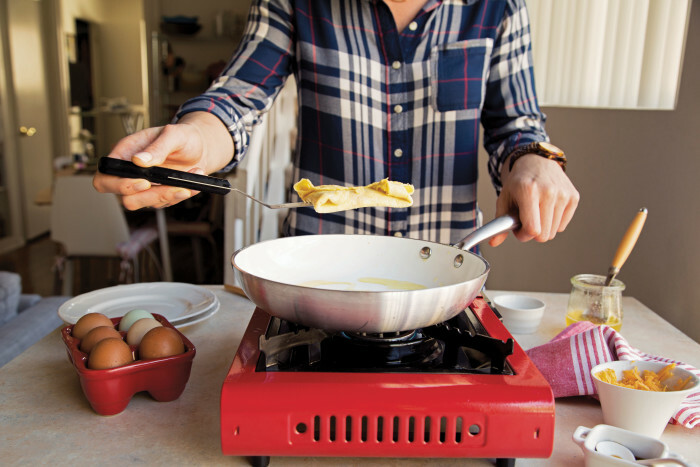 Use a very thin spatula to fold the sides of the egg over the melting cheese, creating a small square. It’s ready now, and won’t last long, so slide it onto toast, into a sandwich, or something quickly and enjoy!